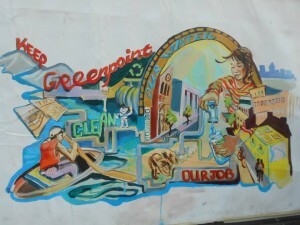 In collaboration with The Greenpoint Chamber of Commerce and the New York City Department of Environmental Protection, Groundswell youth artists, which include 6 interns from WHSAD, will celebrate Greenpoint’s history of environmental justice activism and highlight the importance of watershed stewardship. The mural, to be installed at MS 126 Magnet School for Environmental Engineering, will motivate participants and the community to learn more about local watershed conservation and infrastructure, and further explore careers in related environmental sectors. 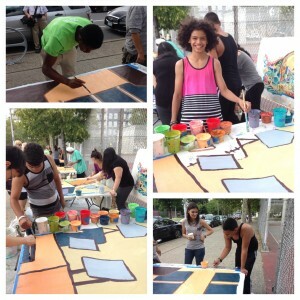 Here are some photos of WHSAD student interns working on the mural. The internship included trips to the Crotona aqueduct in upstate New York, participated in workshops conducted by the DEP, and presented the design concept to community leaders.